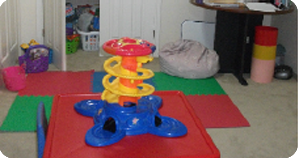 We are 4 Speech-Language Pathologists who work out of our home offices,where we treat children with a range of speech and language delays and disorders. 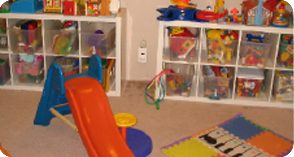 We provide privately funded Speech Therapy in Thornhill, York Region, and surrounding areas. At FUN TO TALK, we pride ourselves in offering excellent, personal and individualized Speech and Language therapy services. 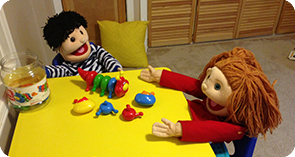 We are all PROMPT® trained at the higher level of learning (“PROMPT® Bridging”) and have a special interest in motor speech therapy for children. We continue to keep abreast of current therapy approaches. We attend regular continuing education seminars/trainings and work as a collaborative team, sharing ideas, consulting and supporting each other to give your child the best intervention possible. You will find that we are highly skilled with the specific populations and age range we service. As a small clinic, we are able to offer a warm, intimate setting. Our staff are always happy to answer your questions, address your concerns and include the whole family in the therapeutic process. We treat you and your child “as a whole”, taking into account all areas of development and supporting you in accessing the best intervention resources available for your child. We consider ourselves to be your partner’s in your child’s journey of learning.